Travel with your pocket drone; portable, small and light, just like a smartphone. With the concise and aesthetic design and the advanced technology of foldable aerofoiled, the small selfie drone becomes lighter and easy to be carried along. Great tenacity and strong anti-break capacity. AbS safe plastic shell provides protection in an all-round way. Pack the drone into cloth case for easy carry and full protection. With the brand-new technology of folding crankshafts, you can pack the drone easily and ply with it wherever you go. The wifi connection between camera and smartphone enables you to remote and enjoy FPV in faster and easier way. Adjustable camera angle, equipped with adjustable camera, more shooting angles for you to enjoy. Equipped with advanced barometer to perform altitude hold and create more stable flights and higher quality aerial shots. 360-degree rolling function enables the drone to flip and roll at different angles. 6-axis gyroscope enables the drone to keep the balance and stability during the flight. With the headless mode you can fly the drone easily without knowing the direction. Drone air selfie's adoption of led enables you to recognize the flight direction on a dark night. When small selfie drone flies in the dark, it shines like a star. 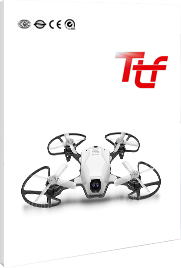 Buy new air selfie drone with cheap price from TTF!